Michael is the Director of Government Affairs at Shenker Russo & Clark LLP. At SRC, two of Michael’s notable successes include changing the New York State Compassionate Care Act (Medicinal Marijuana) regulations to allow processed flower to be legally sold and consumed in the state,as prior only extracted oils were allowed; and lowering the carbon and greenhouse gas emissions of heating oil, by enacting a law that requires renewable Biodiesel to be blended into heating oil. Prior to joining the firm, he led Northeast Public Affairs LLC, a government affairs firm he founded to serve clients in New York, New England and Washington, D.C. Michael was also President and CEO of the Massachusetts-based New England Fuel Institute (NEFI), representing the interests of the home heating industry throughout New England and in the Nation’s Capital. 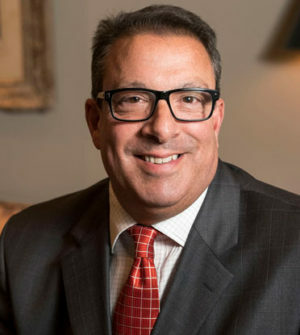 Earlier in his career, Michael was the CEO of the Empire State Petroleum Association, representing the heating oil, motor fuel and convenience store industries in New York State. During his tenure, he was a key strategist in the Congressional lobbying effort to establish the National Oilheat Research Alliance (NORA), a national check-off program that has helped the home heating industry transform the traditional heating oil into BioHeat®, the renewable, cleaner burning home heating fuel the industry delivers today. He also established consumer home energy tax credits in New York State, helping consumers upgrade to higher energy efficiency appliances and environmentally protective heating fuel storage tanks. While at NEFI, he helped guide the NORA reauthorization in the Farm Bill in 2013 and again in 2018. Michael served as Vice Chancellor for University Relations for the State University of New York (SUNY), where he was SUNY ‘s chief lobbyist, managing the Offices of Government and Public Relations, overseeing SUNY’s federal and state lobbying, and external affairs and liaising with employee-unions. Michael developed and managed the University’s federal and state legislative and public policy agendas, advocacy efforts, and assisted in the implementation of its strategic plan. Michael also served as Secretary and Chief of Staff to the NewYork Lt.Governor under the Governor Pataki Administration and also held top-level staff positions in the New York State Senate, State Assembly and the Town of Islip, NY.